Greta shots Ralph ....easy to see why open top chicken runs aren't safe from foxes. I take it you don't keep chickens? Or do you because that awful looks like chicken you are feeding them. 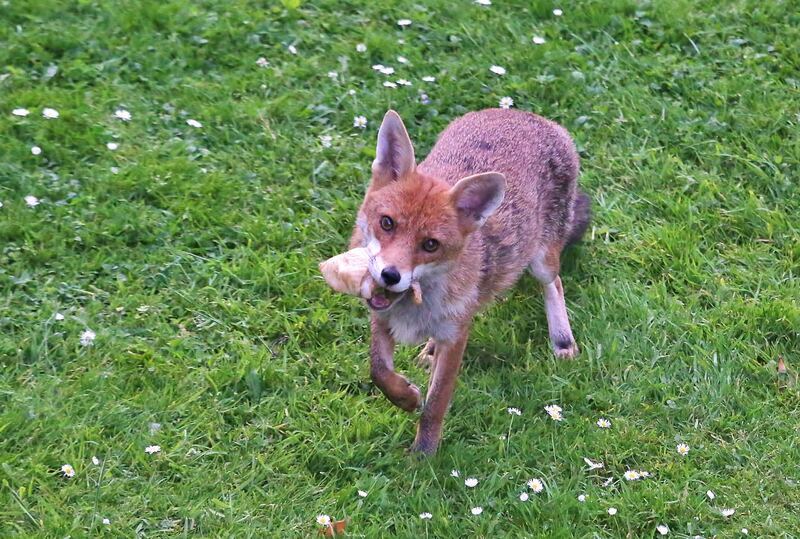 Gnads, I have for the last 40 years been feeding 'my' foxes with 12-16 chicken thighs each day, the quantity depending on whether there are cubs about or not, Not too many people raise chickens close to the centre of London, though the foxes do sometimes take a wood pigeon that's slow in take-off. By far the biggest garden killers here are cats who are very skilled hunters of small birds and mammals. 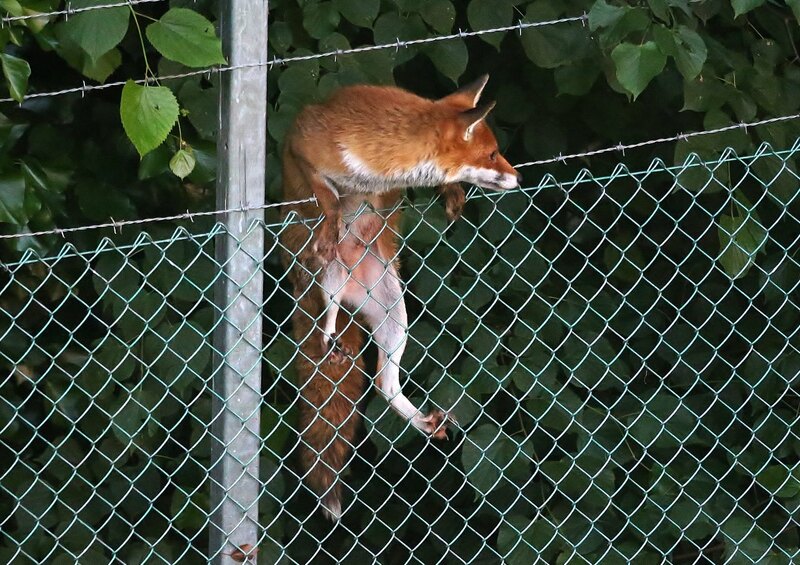 Same problem here & virtually all over Australia with cats ........ but Reynard comes in next for small native birds & mammals & sure puts a hole in the chicken, turkey & duck populations of anyone who doesn't have secure enclosures for them. But they also help keeping rabbit(also introduced) numbers down in certain areas. They are very adaptable & despite there being nearly more dogs than people in many neighborhoods there are always foxes about in towns & cities. 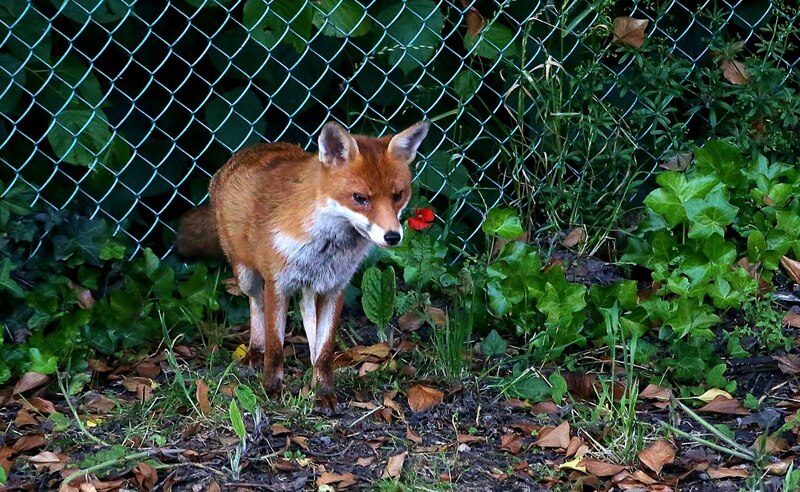 I've seen foxes in the Brisbane CBD area. 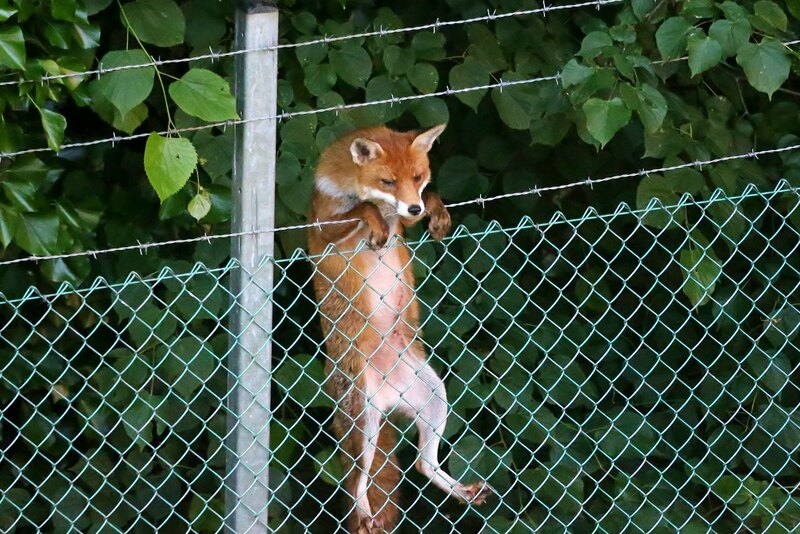 But all in all your foxes are considered native to the UK ... whereas like here cats are the feral introduced species ... along with Reynard. And Tallyho Yoikes the fox .... hunting didn't take off here ...... we just shot em. Last edited by gnads on Sun Jun 10, 2018 9:03 am, edited 1 time in total. Right now we have lots of rabbits around and so pretty soon we will see the foxes arrive to dine on the plentiful food source. 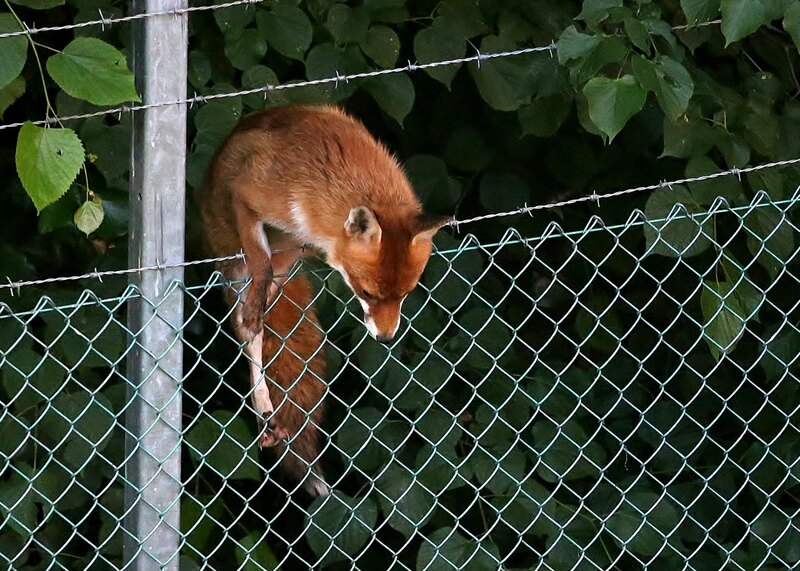 As the rabbits are taken, the foxes slowly fade away to another hunting ground. They seem to leave enough rabbits to regenerate. Mother nature seems to know what she is doing. You are right Beachbum, populations will fluctuate at times but left to its own devices, nature generally keeps things in balance. That's OK when both animals are native to the area/ country. One of the things that makes Facebook attractive to many, is the ease with which you can share photos, videos etc. When I first joined this site, I used Photobucket to post photos, but that became increasingly complicated as they started to try and increase their revenue stream, which while understandable, did put a lot of people off. I stopped using Photobucket, but my interest in posting photos was renewed when Sherrie mentioned Imgur. 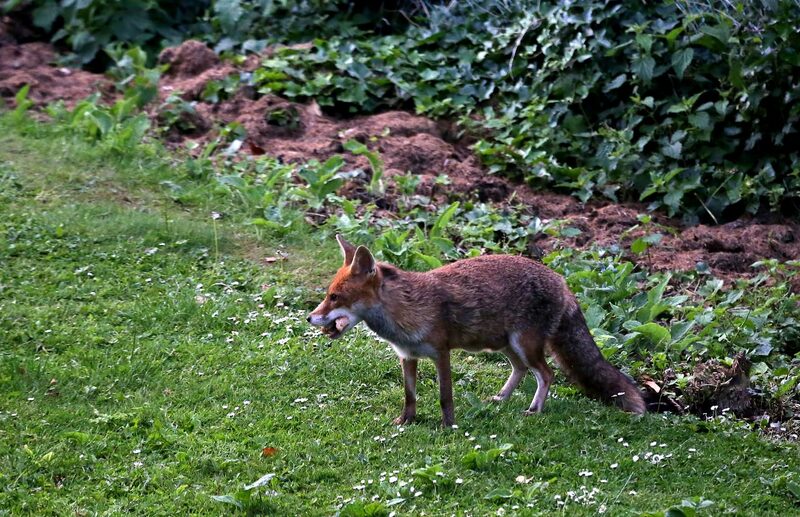 I have decided to give it a try and post some photos I took last night of two of my four regular fox visitors. They are both vixens with hungry family's back at their dens. I have known both since they were cubs and they are now heading for their 5th year. 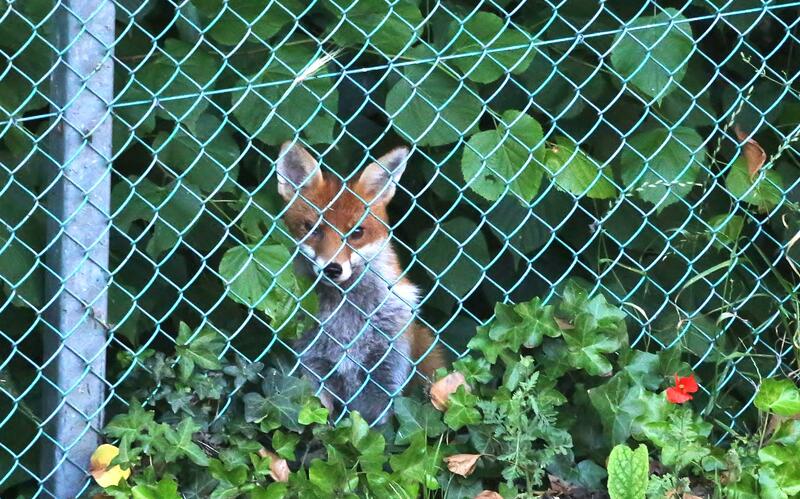 Five years is considered 'old' for urban foxes, which usually succumb to illness or accident long before reaching that age. Despite suffering from a bad and mostly undeserved reputation, my visiting foxes are as well behaved as domestic dogs. They quietly arrive at the same time each night and sit in a row waiting for me to appear. Once fed, they leave as quietly as they came. Their ancestors and they have had this routine for the 40 years I have lived here and all just a few miles from central London. Beautiful crisp clear photos Ralph, what camera do you have? I was thinking that myself danet ....methinks he is a bit of a photographer on the sly. Danet, I have a Canon MK III SLR with a selection of lenses. I use a 100 - 400mm telephoto for these. Downside is that it is very heavy to carry about. Used mostly close to home these days. Oh it’s a brilliant camera!! I was deciding between the canon mk111 and Nikon d750 but since I had a previous Nikon DSLRs with all lenses that I already have, I opted for the Nikon d750 and it’s a good full framed camera. I agree re: too heavy, I wanted to take it on my China tour, but it would have been painful all day, so I took 2 other lighter cameras I have that are canon, the s120 with f stop of 1.8 and brilliant in low light not needing to use flash. And the canon 50 optical zoom. There was one of the men on the tour that had his big Nikon dslr with a huge lens, around his neck the whole time. It would have been hard when climbing the Great Wall and need to worry about equipment not being bung around. I had been thinking about those smaller mirrorless cameras, have you looked at those yet Ralph? Danet, they have caught my attention, but I have not done any serious research yet. Part of my trouble is that I love that lens I mentioned and that is a very heavy bit of equipment in its own right, but it allows me to get in close for those nature shots which I love so much. I think I am am perhaps going to go back to my macro lens and seek drama on a tiny but much closer scale! I have forgot how to post pics its been that long lol. I will do my homework and try posting again. Thanks Nana. I haven't posted any fox photos lately as though the foxes still turn up daily, they now tend to do so very late at night when there is insufficient light for good photos. They are not earning their keep these days!